Jose Mourinho is no doubt one of the greatest managers to have graced the game of football. His CV alone tells you he is one of the finest along with the likes of Pep Guardiola, Sir Alex Ferguson, Vicente Del Bosque, Ottmar Hitzfeld among many other great managers football has produced. Jose Mourinho stands out among many managers partly because of his character. 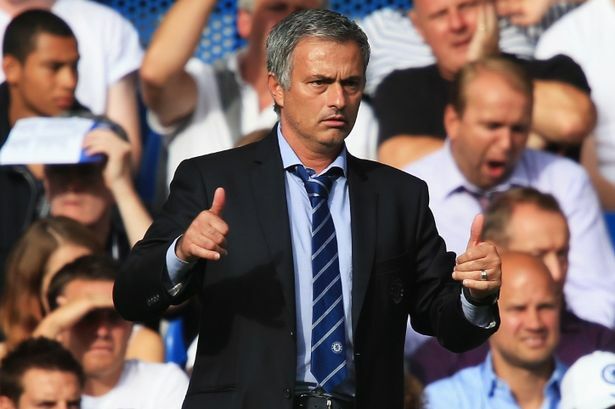 The image Mourinho has portrayed of himself has made him a media favourite if not the best. He creates attention, he creates controversy and that’s basically what the media like. Though Mourinho’s character has landed in trouble many times with the football authorities, that has not hampered his reputation as a fantastic coach on the field. Let’s not forget his dress sense. Also one of the most fashionable coaches. His mafia suits caught the eyes of people the 1st time he came to Stamford Bridge and his legend status with Chelsea has made the suit to be put on display at the Stamford Bridge Museum in London. Mourinho is also known to have elements of pride, arrogance and eccentricity. These are reflected in most of his speeches and his confrontation with football personnel. He is seen as a pain in the neck to many managers but its normal that happens. You become a pain to others in the face of your success. This has made many football personalities to say different stuff both negative and positive about Mourinho and he’ll always hit back at you. What Mourinho said is absolutely true. He highlighted his achievements at Real Madrid in that statement but you can feel a sense of pride and arrogance in it too and that is who Jose Mourinho is.